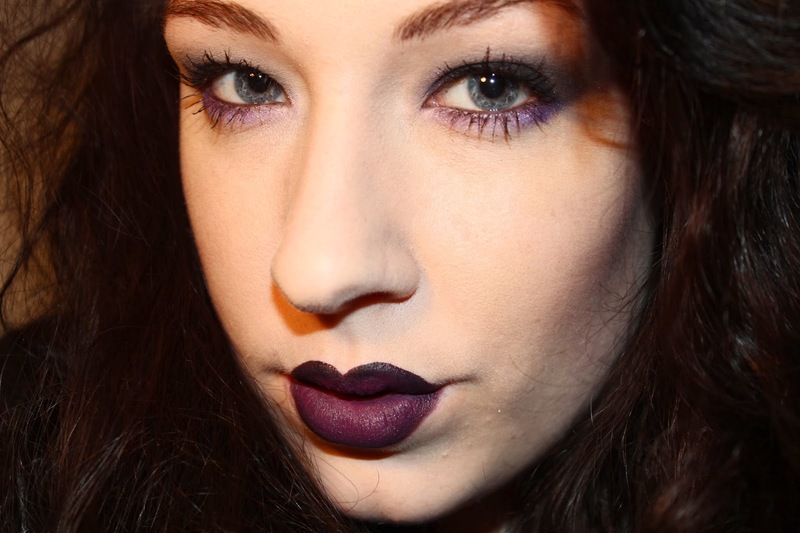 I have been loving dark eyes and dark lips, and have been sporting this look for house parties and events. Due to my dark hair - with bright blue tips - and pale skin, I've wanted to try dark colours for a while but always scared from it. Too much dark eye make up could make me look tired and washed out, so I had many tries at finding something that worked for me. The upcoming photos are very bold, but of course, like all tutorials, this is just inspiration. Feel free to adapt or just appreciate. For my 'punk' look I focused on the lips, keeping them as dark as I could. First I applied MUA's Velvet Lips in Kooky from their Luxe range, which I LOVE. The lip colour is amazing and dries perfectly matte, and staying all day! A review on this to follow shortly. Then I went over my lip line to create more of a lip with my Maybelline Color Tattoo in Timeless black, a review also to follow. 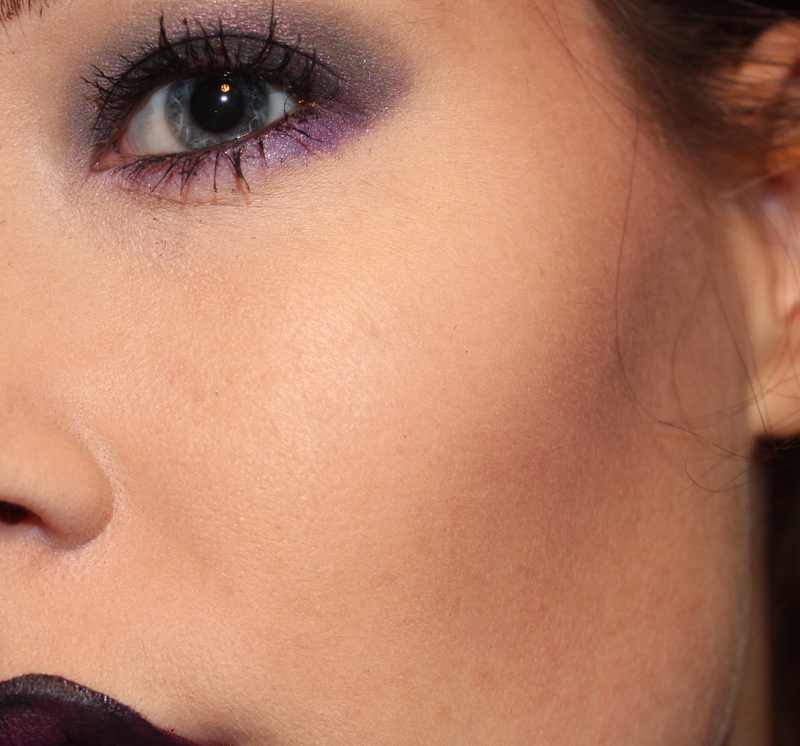 I ombred the colours together with a lip brush so the MUA colour was in the middle, making my lips appear fuller. The main reason I did this though was to add extra dimension to my look. Of course, you can just stick with Kooky. 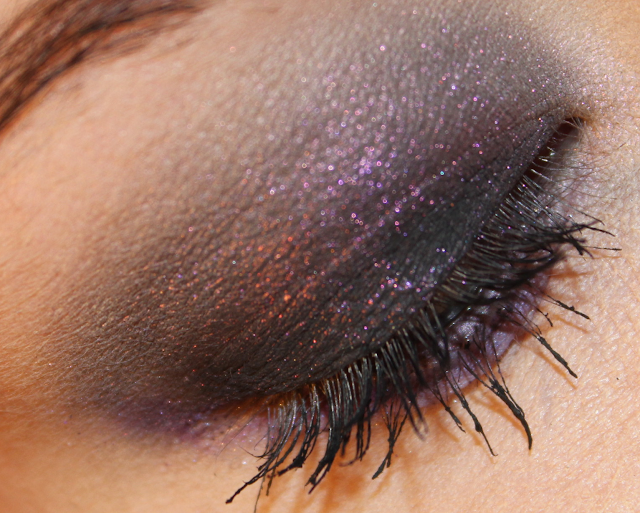 I kept the eyes simple using Barry M's Dazzle dust in 89 - A shimmery grey with gorgeous purple flecks. On the bottom I used another Barry M Dazzle Dust in a purple shade, which is unfortunately now discontinued. On the waterline I used Urban Decay's 24 Hour Eyeliner in Rockstar. I then combed my lashes with the 2True Colour Mascara in Brown, to give my eyebrows thickness. I usually shadow in my eyebrows pretty dark, but I wanted to keep the focus on the eyes and lips. Finished with a bit of mascara. For my skin, I first applied Murad Hybrid Primer which I love, to even out my skin and camouflage my large pores. I then used L'Oreals True Match foundation. I wanted to keep the skin as matte as possible, but with defined contouring. I contoured my cheeks with the matte brown shade from the Sleek Face Form palette. I used no highlighting for this look. 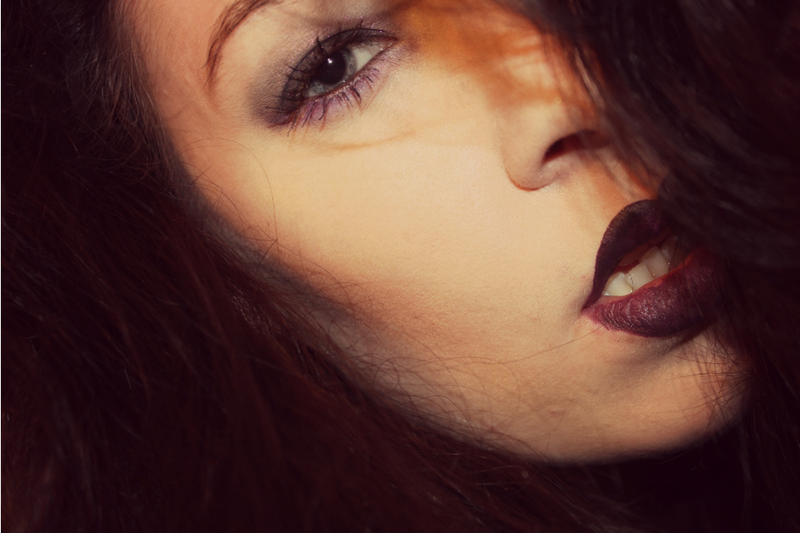 So there we go, my take on a dark and daring make up look. on your next night out! YOU LOOK STUNNINGGG! The lips are fab! This is amazing but I especially love the lips - wowzersss!!! I love this, you look beaut! This is amazing, I love dark looks!